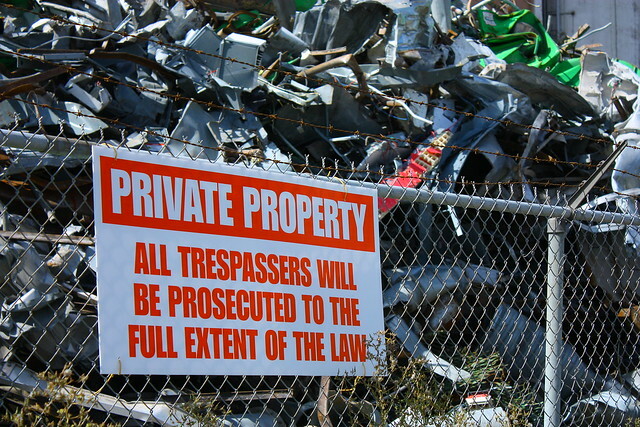 Updated October 2011. 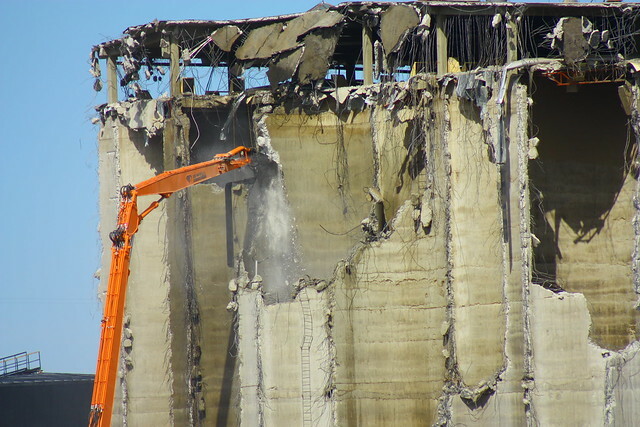 Elevator demolished. 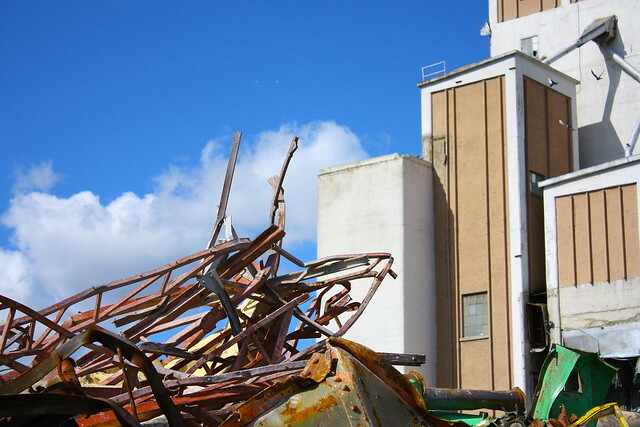 Updated April 2013 - new book published on the lost elevator. 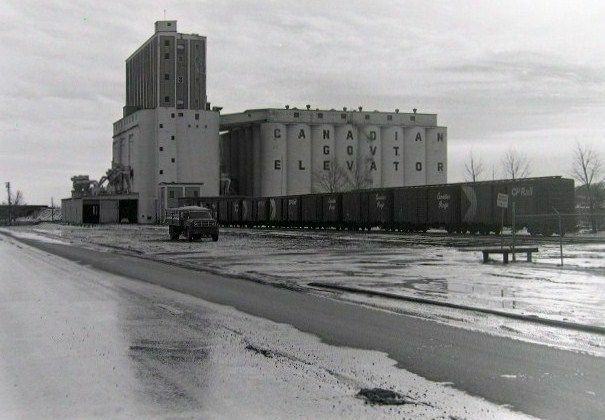 Another good article by Patricia Vervoort about grain elevators and their relationship to historic Canadian prairie identity. 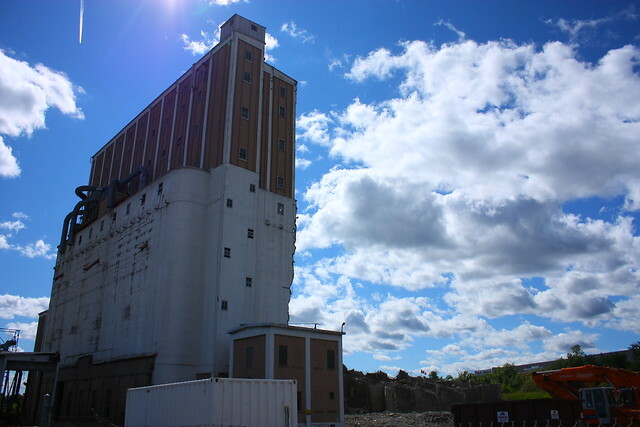 Here is a link to the Statement of Significance for the Saskatoon Elevator Terminal. 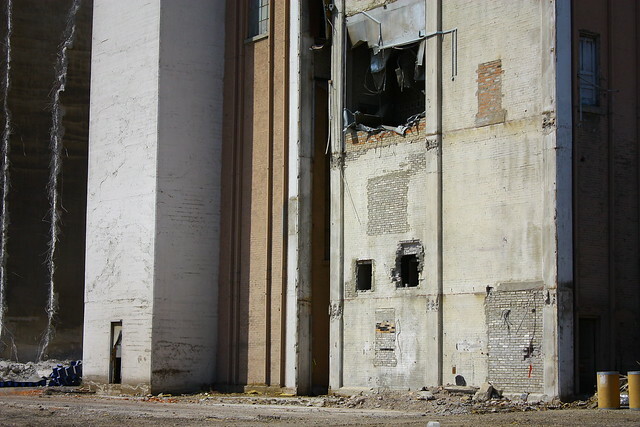 This elevator is an older "sister" to the Ogden elevator and pre-dates it by 2 years. Another "sister" was constructed in Moose Jaw, also in 1912. 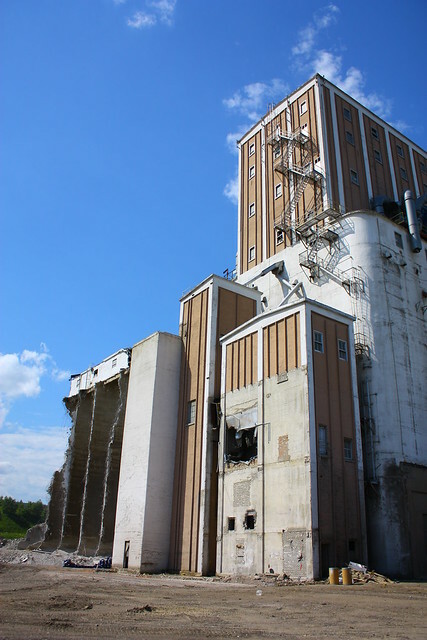 We were disappointed to learn that the Cargill Grain Elevator also known as the Ogden Federal Elevator will be torn down in the near future. 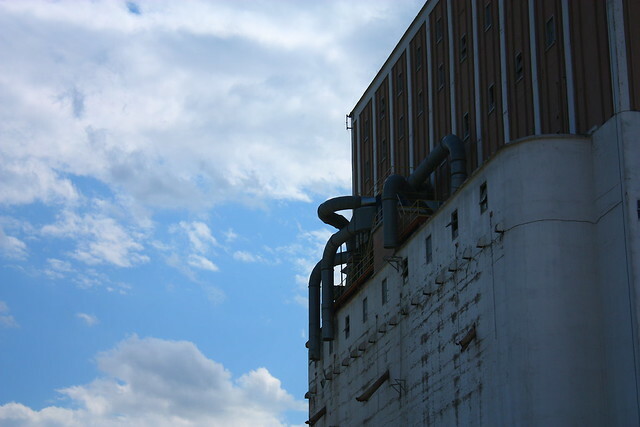 “Le Corbusier’s book also included a photograph by Harry Pollard of the Dominion Government Elevator in Calgary. 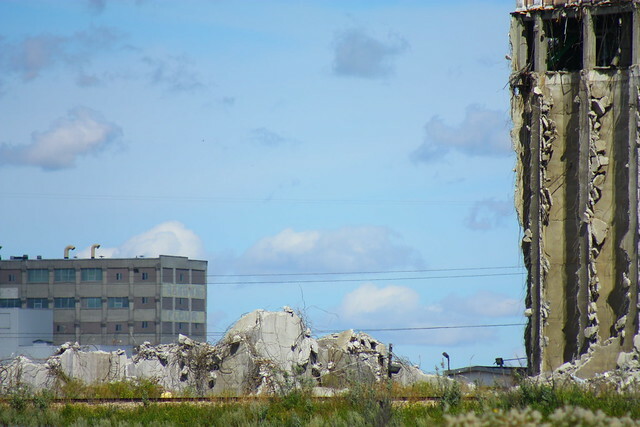 According to architectural historian Trevor Boddy, the Calgary elevator became “the most internationally renowned piece of Alberta architecture” because of its inclusion by Le Corbusier. 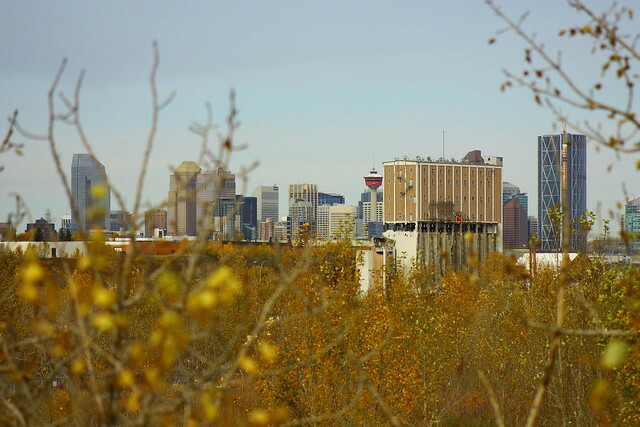 Calgary elevator was completed only in the fall of 1915; the supervising engineer for its construction was C. D. Howe. Hi. My name is Jim A Pearson. 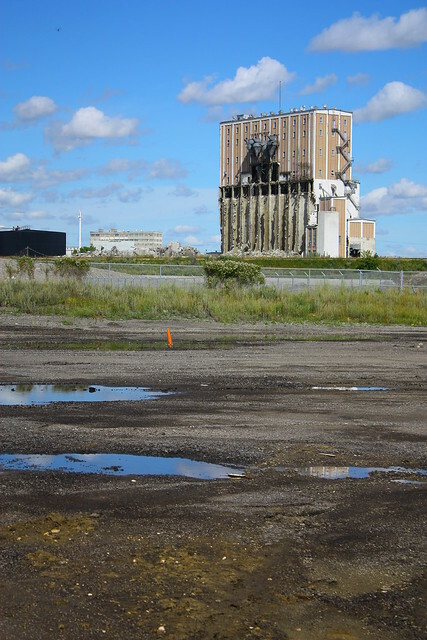 and am the author of Vanishing Sentinels: The Remaining Grain Elevators of Alberta and BC (2007) and Volume II: The Remaining Grain Elevators of Western Saskatchewan. 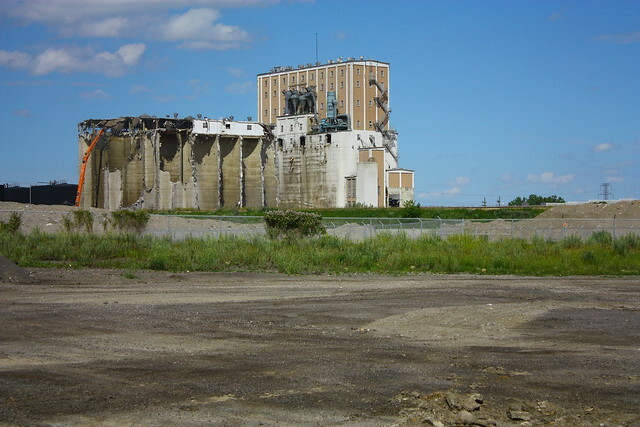 I am hoping to get an updated version of the first book done for 2012, since there is a lot of elevators that have been lost since the book was released, and I have updated the database with the help of the Canadian Grain Commission. 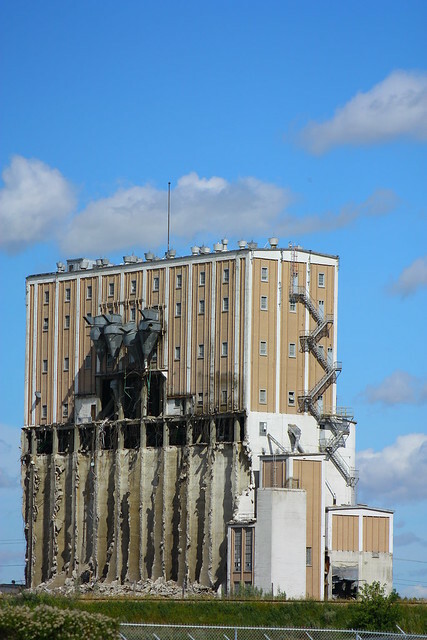 I also have two websites with photos detailing the remaining elevators I have shot or have had fellow vatorologists taken across the prairies and into eastern Canada. 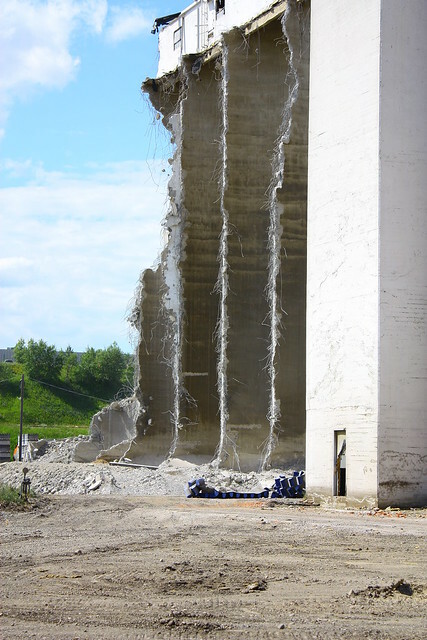 WHen I heard about the old Canadian Government elevator possibly coming down... I must admit that I am disappointed to hear that. 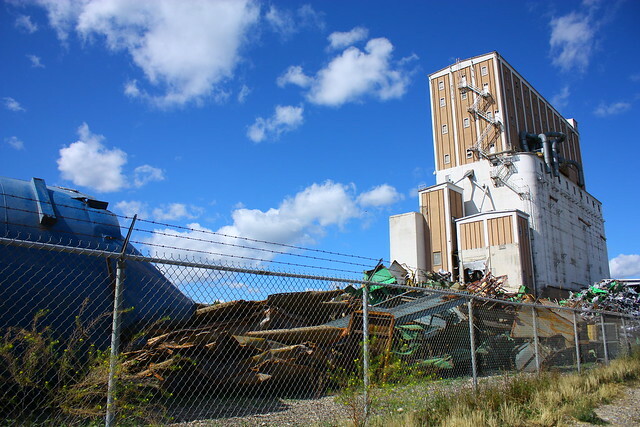 That elevator is one of the last few concrete elevators remaining in Calgary, and it would be a tragedy to see it demolished. 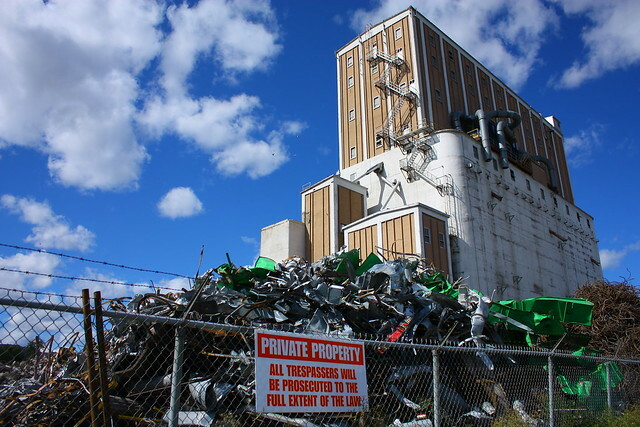 I hope that something can be done to save this part of Calgary's grain history! 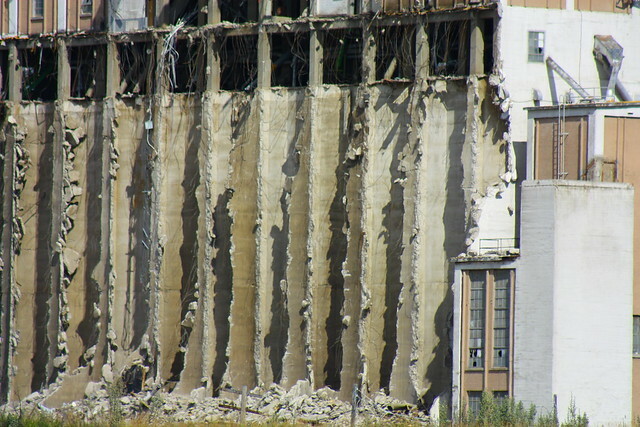 "Once hailed by a master of architecture, the slow demolition of the Ogden Federal Elevator has begun. Built in 1915, the stark, hulking edifice was once featured in famed architect Le Corbusier's Vers Une Architecture next to the Parthenon; a symbol in concrete of the noble, functional prairie. 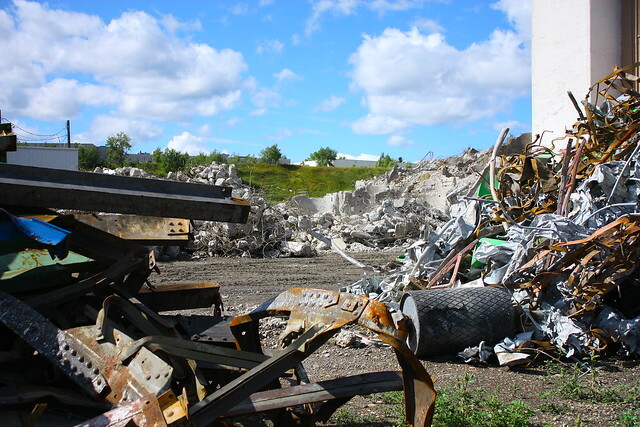 Now it sits in a traffic black spot, sandwiched by a sewage treatment plant and the producers of asphalt shingles. 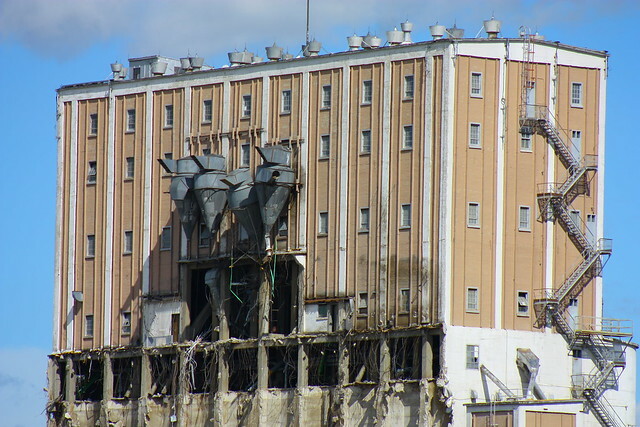 Located in the southeast of the city and within sight of Deerfoot Trail, the building is nearing its end. 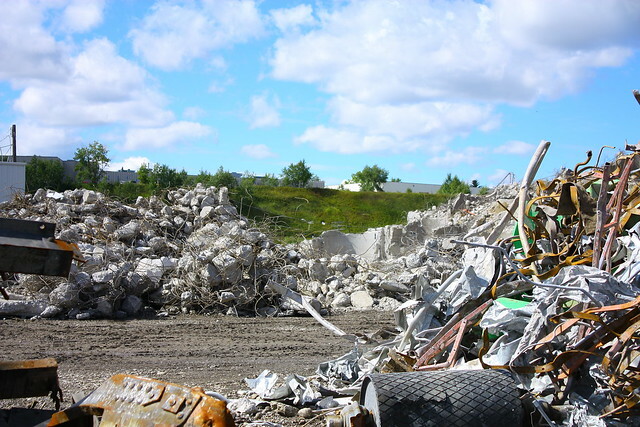 About a fifth of the structure has been razed. 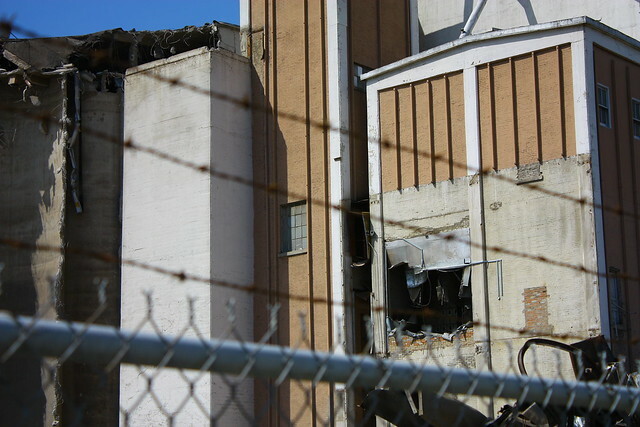 Lamenting the loss of the historical monument, which was once a city landmark, the Calgary Heritage Authority has taken pains to photograph its inner silos. 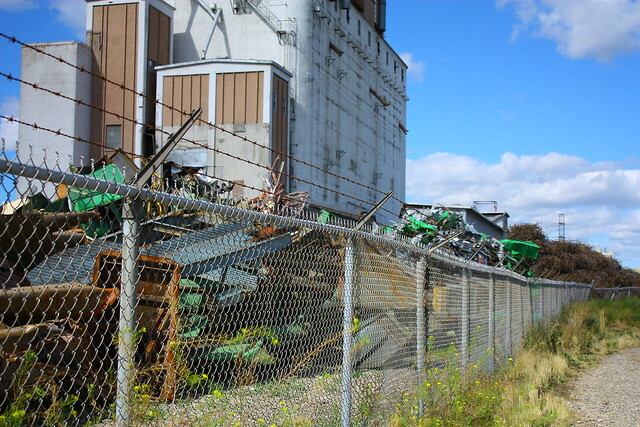 "Ideally, we hate to see it torn down, but without any practical adaptive use for the building, it's hard for us to advocate for it to be saved," said Scott Jolliffe, the authority's chairman. 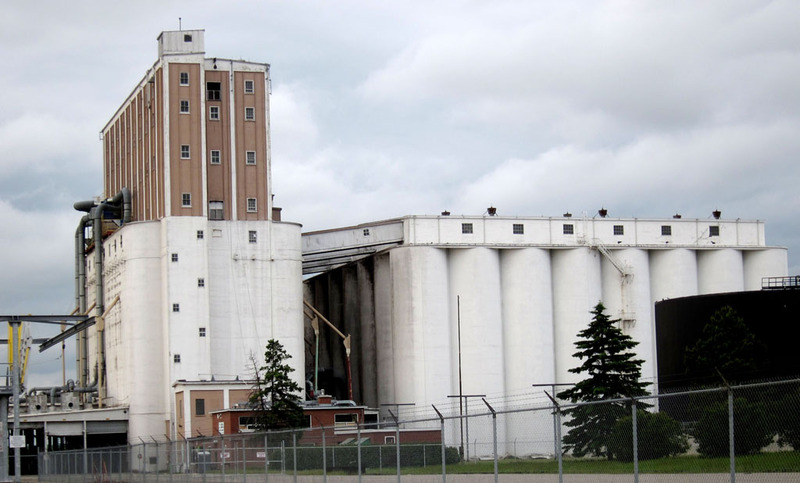 Like thousands of other grain elevators across the province, the Ogden terminal was sacrificed to more efficient modern counterparts. 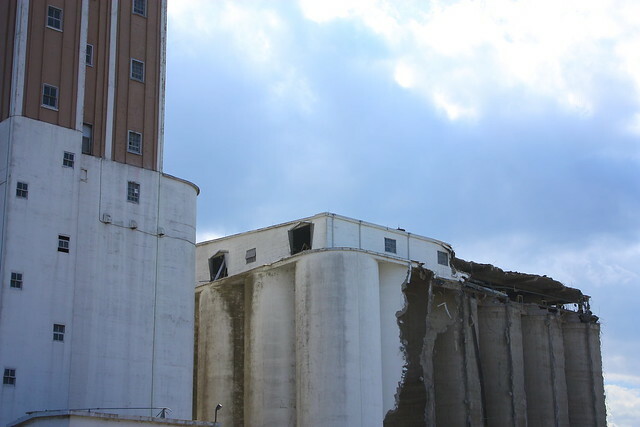 The painted wooden elevators that were once the focal points of dotted rural towns have been made obsolete by high-throughput elevators. 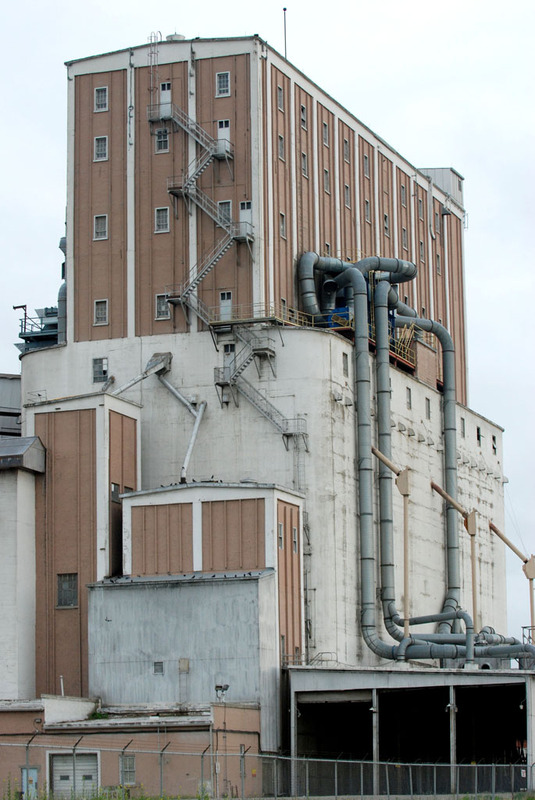 While the iconic old lifts could fill a grain train at the rate of four to eight cars per day, the faster versions can stuff 110 cars in the same span. 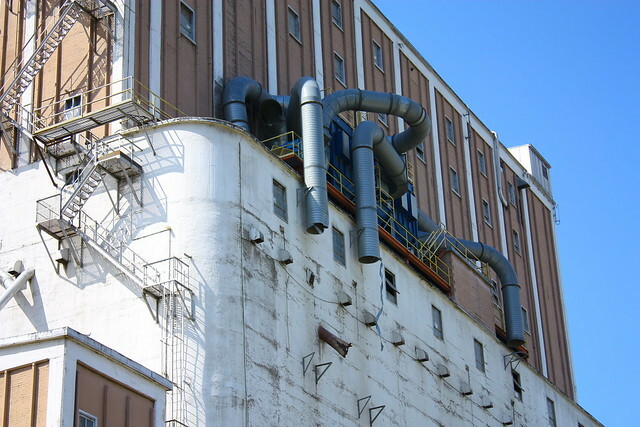 And while the elevators have a simple, clean look from the outside; inside they're windowless silos filled with dust, bins and vermin. 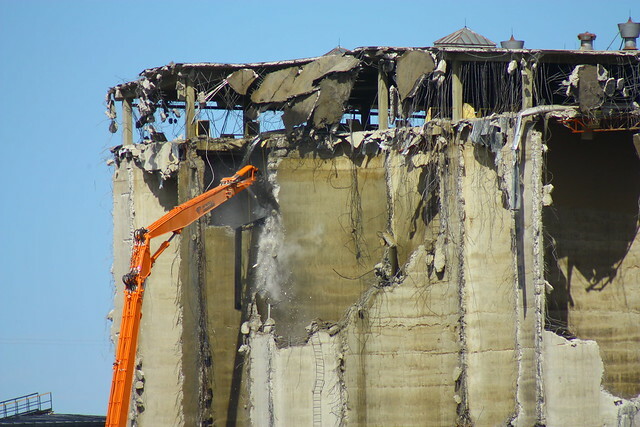 "We forget that there were 6,000 elevators on the prairies at one time and now we're down to 500 and still falling," Jolliffe said. 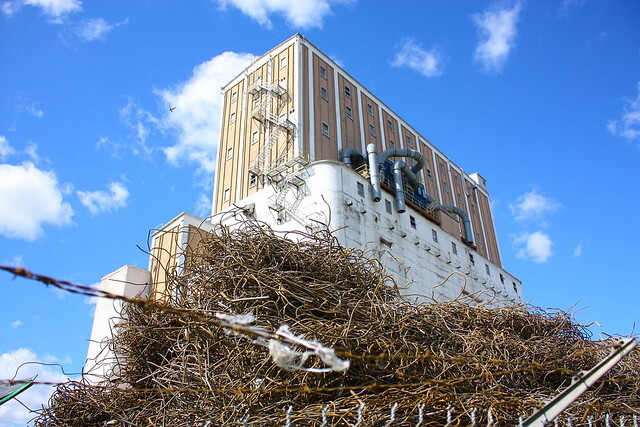 "They're worth saving as symbols, but as a building, to reuse they're very challenging." 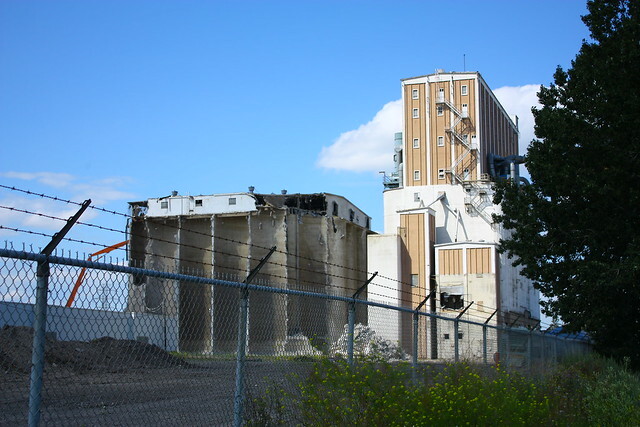 Some cities have managed to salvage their elevators; Akron, Ohio, turned theirs into a hotel and a silo in Montreal still stands. 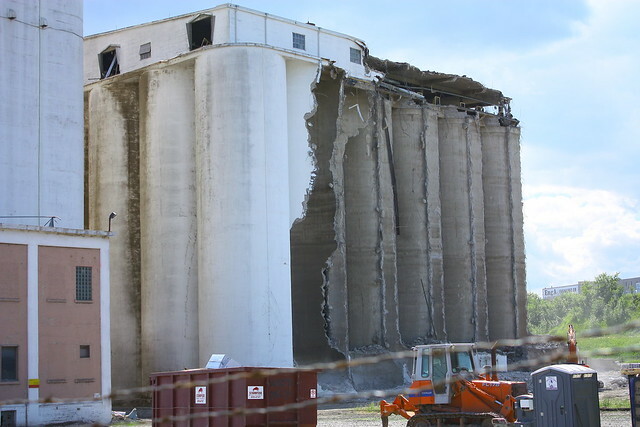 Several years ago, the town of Nanton banded together to save its red, triangle-topped elevator. They turned it into a museum. 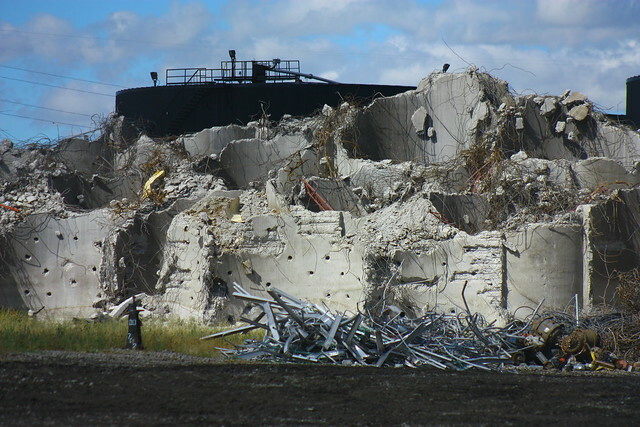 However, the location and condition of Calgary's monument make preservation difficult. Planted in the middle of an industrial sector, it's too far out of the downtown to be considered as a hotel, meeting space, library or museum. 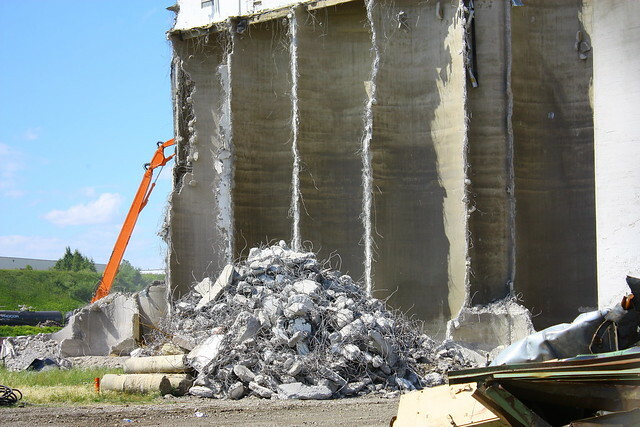 "How do you use 56 concrete silos, basically?" asked Jolliffe. "They have no windows in them. 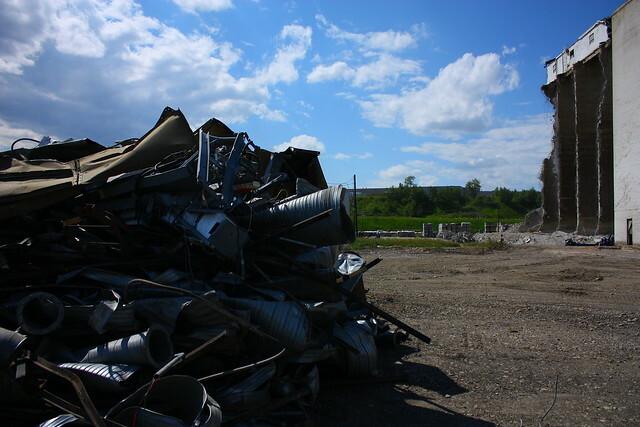 They're very difficult to reuse for anything without spending millions and millions of dollars retrofitting." In addition, Le Corbusier's judgment notwithstanding, finding the elevator's outer beauty is no easy task. 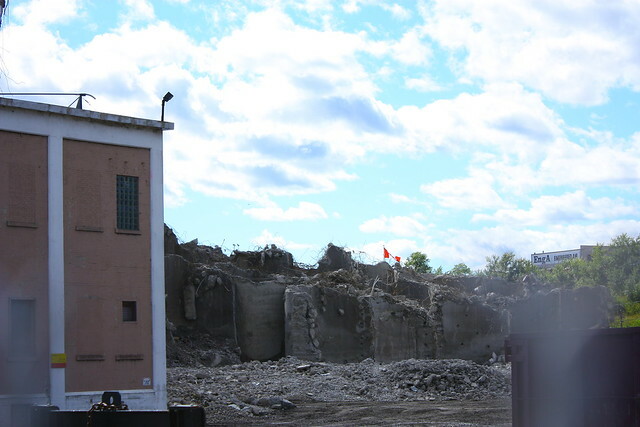 "It's pretty to someone who's interested in industrial architecture," Jolliffe said. "I'd agree that does not include many people." 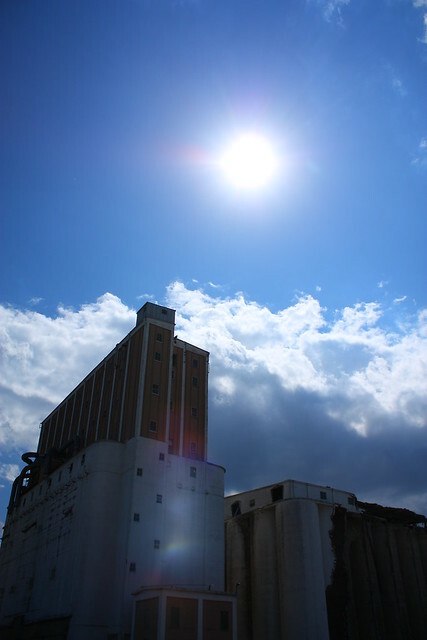 Even though it has been standing for almost a century, the Ogden elevator still impresses onlookers with its stature. 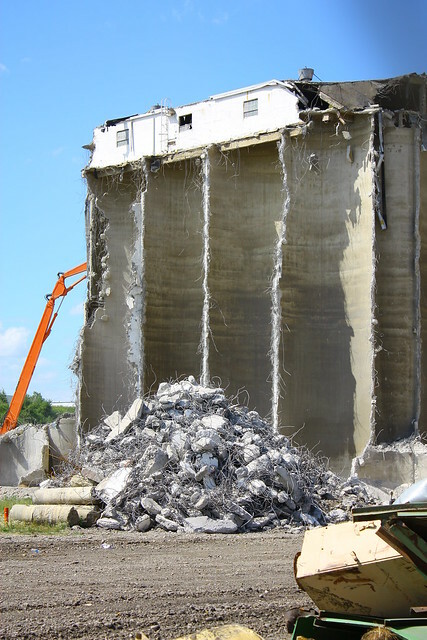 "This was built in the horse and buggy days, and when you see the scale of it, the size of it, the volume of materials. The amount of work that went into it is hard to believe." 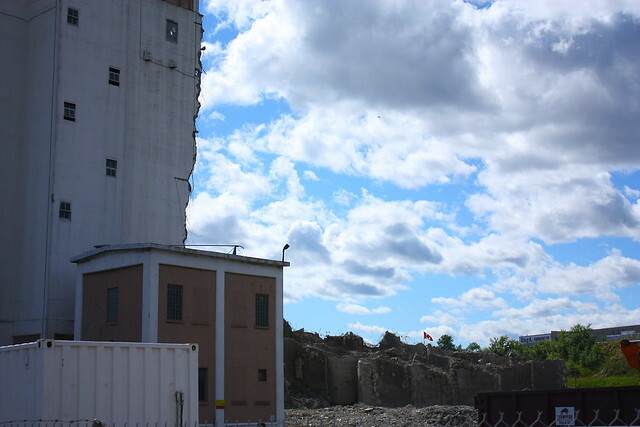 The authority's photographs will be kept on record with the city's heritage planning group." 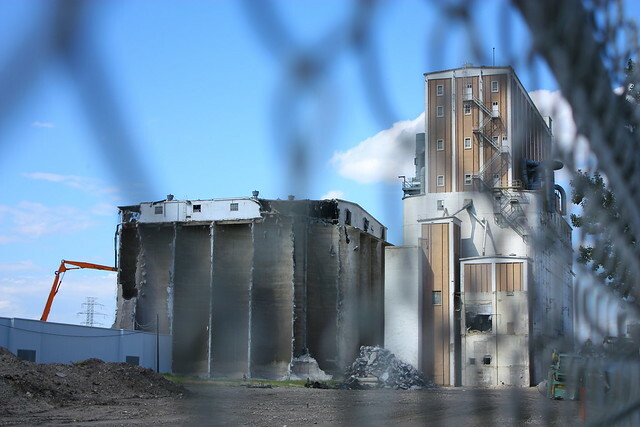 Listen to CBC's "As it Happens" broadcast on August 4, 2011 for an interview with CHI President, Cynthia Klaassen, about the demolition of the Federal Grain Elevator.